Projectors are available in different sizes and weights. And, depending upon their usage, we can buy one to make them work out in the best way. We can have projectors that are even named as Pico, mini, etc. 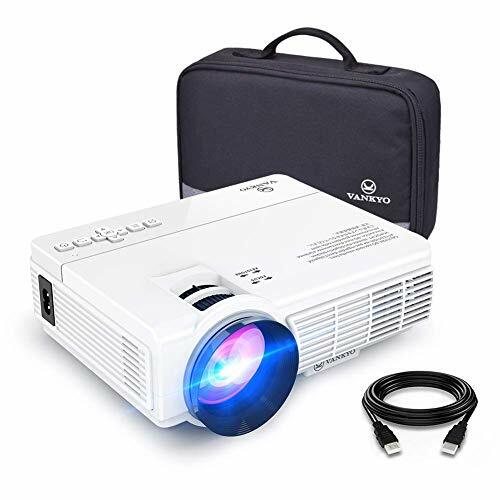 while there are portable projectors that are good for those who often need to travel and show presentations under open sky or in a small meeting room. However, when it comes to choose the best portable LCD projectors, then we have been limiting us because LCD projectors are often heavy and large sized. 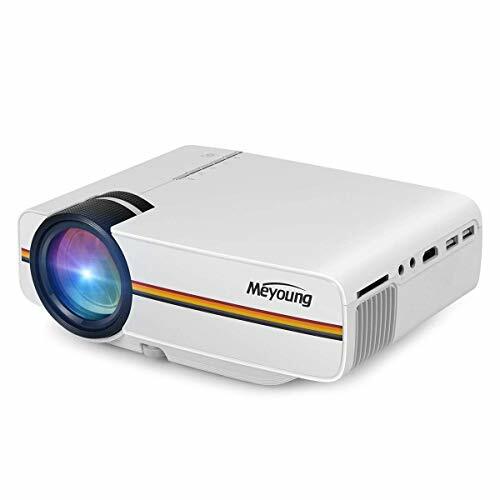 Unlike DLP projectors, in which we can find a portable projector with ease, arranging LCD projector, which is portable as well is bit hard but not impossible. While looking for the best portable LCD projectors, we often need to look at if we need a 2D one or the one that supports 3D as well. There are big brands with portable LCD projectors starting from $750 to $$$$ range. Cost get increased depending upon the features like 3D, higher resolution, etc. A portable LCD projector may weigh somewhere between 6 lb to 20 lb. These projectors also support HD formats at 720p, 1080i, 1080p/60, etc. so you will get a good picture quality. If you are the type who’s always moving from one place to another, maybe a portable projector is what you need. LCD projectors usually have a prominent picture and because the projection technology is cheaper than DLP, the LCD projectors are abundant in others important features. The five projectors you went through are the best ones with an LCD technology and one of these is going to join your range of electronic devices at home. The most affordable, or say rather cheap projectors on the catalog are Dome DHP5 and Croyle Home Cinema Projector. The Dome DHP5 has 1000 lumens of brightness and with a slightly better count, the Croyle Home Cinema Projector has 1200ANSI lumens. The projectors share a common contrast ratio of 1000:1 suggesting that they have similar picture quality as the lumen count and contrast ratio are quite similar in both. And the native resolution as well is common in both, being 800 x 480 with a support for up to 1080p. Connectivity features as well are common with HDMI, USB, VGA, AV, Audio out and Smartphone connectivity with the help of special cords. Moving on to those with a considerably higher lumen count; the Abdtech LCD portable projector with 2600 Lumens and GooDee Portable projector with 3200 Lumens are another two on the list. The Abdtech projector has a native resolution of 854 x 480 and a Contrast ratio of 1000:1 which is satisfactory and shows some signs of pixelation when stretched to 1080p. 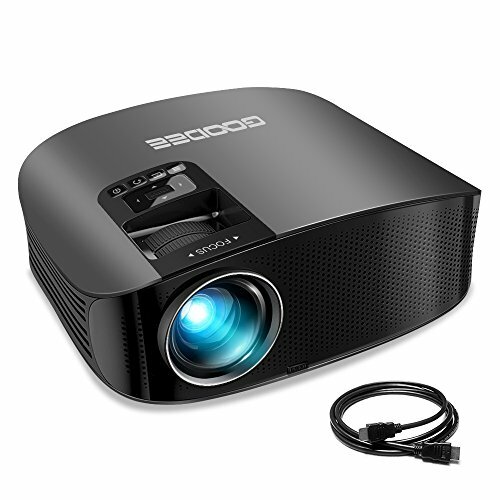 However, the GooDee Portable movie projector has 1280 x 800 pixels resolution, which shows no tear in the picture even at the supported 1080p resolution. The contrast ratio as well as 3000:1 which makes the display all the way more appealing. Plus, the GooDee projector has MHL connectivity in addition to HD features and SRS 5W sound speakers to produce crisp-quality audio. And tech on the other hand, has no MHL and has been fitted with 4W Audio output capability. 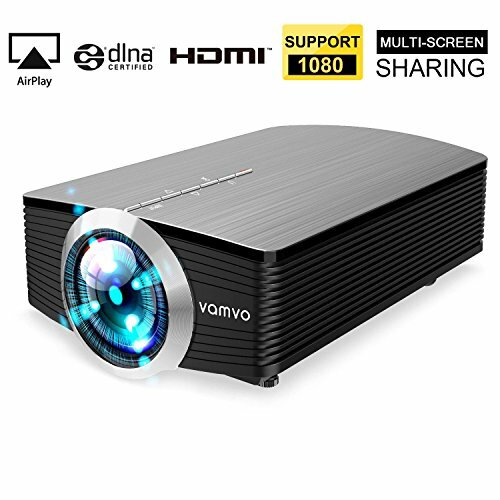 But the true dominator in this category is the EUG Home Cinema projector with 3600 lumens, which has wireless connectivity and Android 4.4 with popular apps like YouTube, Netflix and more. The native resolution it offers is 720p and is 1080p ready. 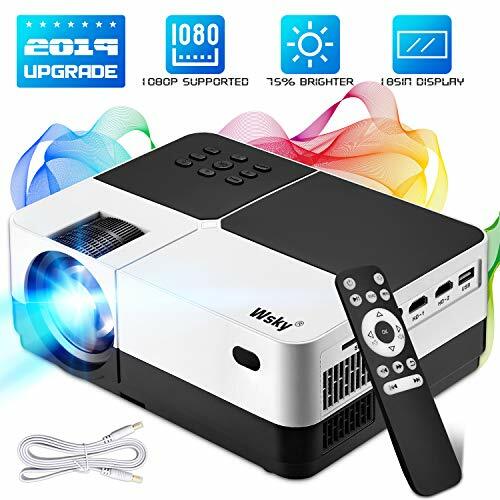 The Contrast ratio of 4500:1 is also the most this catalog of projectors offers and there is no doubt about the fact that this projector has the same great picture, indoor or outdoor.